Flotadas Chimehuin is a family business established in 1994 that is dedicated to guiding anglers from all over the world. Based out of Junin de los Andes we have access to some of the most famous fisheries in all of Patagonia, Argentina. 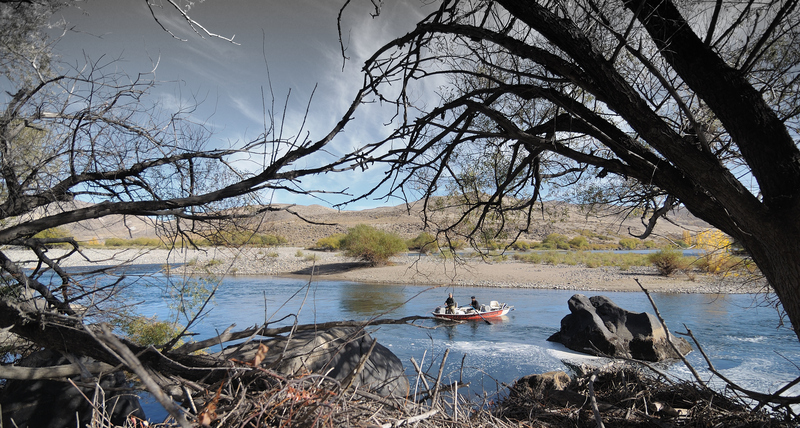 We guide on rivers like the Chimehuin, Alumine, Malleo, Collon Cura, Caleufu, and Limay. We are some of the only licensed guides to operate on the lakes of the National Park Lanin as well, so there we fish Huechulafquen, Paimun, Epulafquen, Tromen, Falkner, and a few others. We offer floating and wading trips thoughout the region, as well as overnight camp trips on certain rivers, and for the lake we operate with a seaworthy motor boat. One thing that sets our business apart from others is the amount of experience we have amongst all our guides and staff who are all a part of the family. While all young and energetic, we all started guiding in our teenage years giving us an amazing amount of years on the water for our ages. All combined we have over 60 seasons of experience guiding in this region. All our guides are members of the family and have a vested interest in your success and overall expericen. Giselle, Gabriel, Andres, Travis, and Angel are all licensed guides with the province of Neuquen. Giselle, Gabriel, and Travis have all guided in the USA and speak excellent English. Andres has fished in Montana and Yellowstone Park as well. Giselle is the only female guide in Argentina. We have awesome gourmet, traditional Argentinian meals prepared by our chef, Yanina. We custom design each trip to meet the need and wants of our clients. We have modern and functional gear for your trip including 3 RO Skiffs, 5 rafts, 1 motorboat, 4X4 vehicles, luxury van for long trips, full camping gear for overnight trips, all to make a better trip for you. Within 75 miles of Junin de los Andes we have more than 6 rivers and 10 lakes that offer amazing fishing. We are lucky to have clients from all over the world and 85% of our clients return for another amazing experience. We invite you to come join us in Patagonia, Argentina for an amazing fishing experience! You will also get a friendly personalized trip that will show you the magic of this country in a way you won’t soon forget!